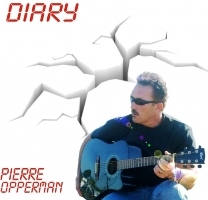 "Pierre’s song-writing skills were born during a difficult year, in 2000, whilst living in a caravan on the South Coast of Natal, and continued during the latter years where he has been living in Knysna for the past ten years. Now, with almost a complete album ready, his music has been heard on many European and USA online-radio, and campus radio-stations, including two music-videos on Youtube. His voice and music-style has more than often, been compared to the likes of David Gray, Cat Stevens, Willie Nelson, and even Roger Waters of Pink Floyd. In 2000 a demo-album, consisting of two songs, “Who’s to know” and “In & Out” were recorded at Manley Studios, Pretoria." I would have been a scuba-dive instructor on some exotic island. Whatever the mind of man can conceive,and believe,he will achieve....persist and never give up on you goals. Think it would be India,which has always had some "mystical-appeal" to me. Thanx for the nice contact bro-in-law....only time will tell.